I have written a previous article about this branch of the Linfield family which first appeared in ‘Longshot’ in the issue of May 2010. This can now be read on the website (see ‘The Isle of Wight Linfields’). In an earlier edition, we also printed an article by Roger Partridge about his memories of Kate Hilda Linfield, who came from this branch. 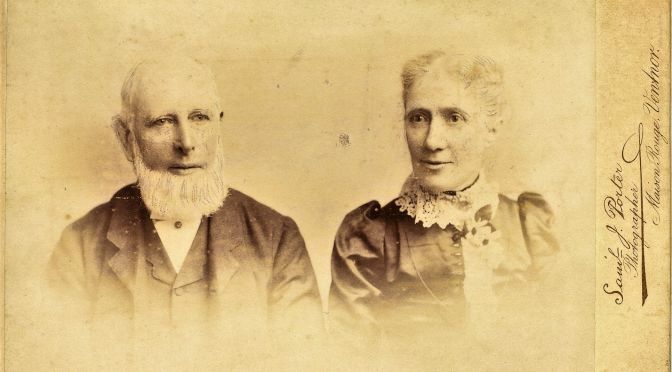 I had always regretted that we had very few photographs of this family – there was a grainy picture of Charles Ashover Linfield taken from a magazine article in Canada and some others showing his various stores in Medicine Hat, Alberta. We also had a couple of photos of Kate Linfield, courtesy of Roger Partridge, who remembered her with affection as his ‘Auntie Katie’ when during his childhood she was a great friend and companion to his grandparents. Luckily, though, in 2016 we recruited a new member to the Group who not only descends from the Isle of Wight branch but has also inherited a fantastic album of old family photographs from her late mother. This was an exciting discovery and I was delighted that, at last, we would have more photos of this branch. Every family has its ‘black sheep’, the wayward individual who doesn’t quite fit in, the person who has done bad things, who may have brought shame and embarrassment to his or her family. They are fairly rare in reality, on average appearing only once in every three generations. They may be completely ostracised by their families and cast out, or shown a modicum of restrained toleration – but everyone knows who they are. 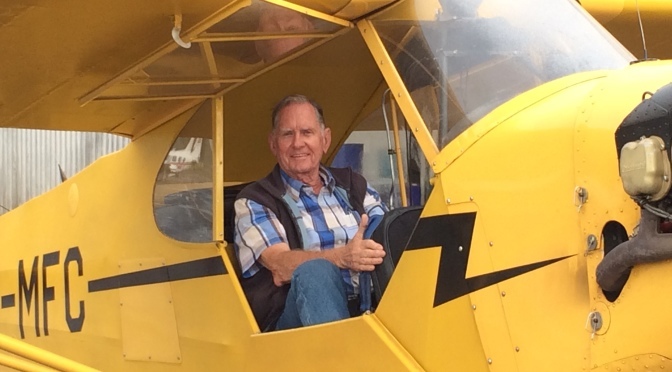 It is with great sadness that I must announce the passing of Eric Linfield. Eric died peacefully in Bath Hospital after suffering a stroke on 16th August 2002. He was 81. Eric was, of course, the first President of the Lin(d)field One Name Group, from the moment of its inauguration in February 1992 until he stood down in 1999. As family historians, we owe an enormous debt to Eric. His interest in family history was ignited by a newspaper article he read in 1963 describing the Golden Wedding celebrations of Evelyn May Page (nee Linfield) and Joe Page, who were caretakers of the Village Hall in Storrington. This article explained how Harry Stanford Smith had done some research on the Linfields during the 1950s, and had drawn up a detailed family tree going back to the time of the Anglo-Saxons. Eric duly wrote to May Page who provided him with a copy of the famous Stanford/Linfield tree. College work kept him very busy throughout the 1960s, but from the late 60s/early 70s, Eric began his research in earnest, spending many hours at the Public Record Office and at the West and East Sussex Record Offices. After some early difficulties, Eric eventually managed to fit his branch into the Stanford Smith tree. He was able to show how he descended from Peter Linfield (1734-91), Farmer and Butcher of Storrington, through a younger son, Edward Linfield (1774-1861), who had a market garden at Sullington. I remember his immense pleasure when I was able to send him a photograph of his great great grandfather, Harry Linfield (1807-78), who was a farm labourer on the Sandgate Estate for over 50 years. This pictorial treasure, which shows Harry wearing a traditional Sussex smock, had been discovered by local historian Joan Ham in a book of old photographs belonging to the Carew-Gibsons of Sandgate House. Eric was born on 25 April 1921 in the Sussex village of Henfield, son of George Mark Linfield and Annie Knapp, who were married in 1916. His sister Eileen followed in August 1922. Unfortunately, his father had a serious accident whilst tree-felling at Woodmancote Place in December 1922, and he never worked again. His childhood was far from easy, but Eric was an intelligent and very able child who was able to do extremely well for himself at school. Between 1928 and 1931, he attended the Henfield (CE) Elementary School, before moving to Steyning Grammar School as a rural scholarship boy. He was called up to serve during the Second World War, spending the latter part of the conflict in France. On returning to England in 1945, he went to university, initially at Oxford for a year and then to Cambridge, where he read Moral Sciences, specialising in Psychology in Part II. Later on, he took a second degree, a M.Ed. in Curriculum Theory, at Bristol. 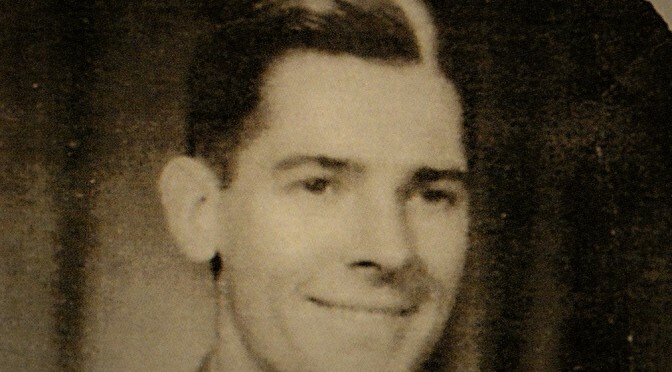 After graduating, Eric decided to become a teacher and after a number of appointments around the country, he moved with his wife Sheila (they were married in December 1956) and their young family – they had two daughters, Janet and Julia – to Saltford in order to take up a new post as a Senior Lecturer in Education at the City of Bath Teacher Training College at Newton Park. This was in August 1963. Here he remained until retirement in 1984, a well-liked and approachable figure, with an irrepressible enthusiasm for knowledge across a wide range of subjects – family history being just one of them! He continued his part-time tutoring for the Open University until 1988, something he had started in 1975. I first made contact with Eric in 1973, to answer a letter he had sent to the West Sussex Gazette (which my grandfather had noticed and passed on to me). This was just before he sent out his mailshot to every Linfield in the UK telephone directories, appealing for others to help him in his quest to build upon the original researches of Stanford Smith. His eventual aim was to write and publish a pamphlet or book about the Linfield story. In his letter, Eric asks to hear from any readers who might have remembered his grandfather George Linfield, who married Katherine Leach at Clapham in 1885. Katherine was in service at Castle Goring, whilst George was a cowman. I wrote to Eric, stating my interest in family history, and so began a regular correspondence which continued for the next 29 years! Eric’s letters were always very helpful, full of encouragement and useful tips on how to proceed with a particular piece of genealogical research. 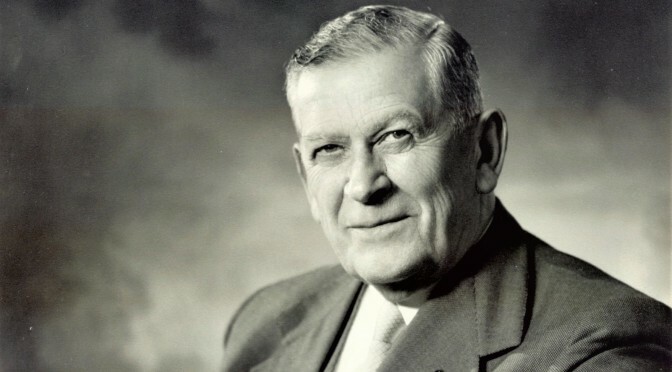 We would often up-date each other with our successes, and I was most pleased when I was able to tell him that I had finally found the link connecting my own particular branch with the Stanford Smith tree. This resulted from his suggestion that I ought to have a detailed look at the Nuthurst parish registers, where I discovered the baptism of my great great great grandfather, Henry Linfield on June 12th 1796. I’ve always had a sneaking suspicion that Eric knew I would find this link, since it was rather odd that he had recorded the baptism of Henry’s sister Ann in 1792 but had apparently ‘missed’ the entry for Henry! I first met Eric and Sheila in person when I was invited to meet them at their home in Saltford towards the end of 1978. I was immediately struck by Eric’s infectious enthusiasm, as all these boxes of books and papers were miraculously produced and their contents duly scattered about the living room floor. Poor Sheila! Eric enjoys himself at the Group’s 10th Anniversary event at the Old School, Storrington on June 1st	2002. When we both met Alan Lindfield for the first time in July 1991, the whole business of the Linfield family history was suddenly transformed into the computer age. Alan explained how he had set up a database of Lin(d)field records and we were both mesmerised with the new possibilities that this modern technology could offer. One of the outcomes of this fruitful meeting was the decision to set up of a Lin(d)field One Name Society, something which greatly appealed to Eric because it represented a new and exciting phase in the development of the family history. It would bring together many more people who would be able to help with the research, whilst the publication of a members’ journal fulfilled Eric’s hopes that parts of the family story would be properly recorded for future generations. Eric contributed regularly to ‘Longshot’, mainly with articles about his Sullington ancestors and his thoughts on possible avenues for future research. He was aptly appointed the first President of the group, and his letters of encouragement were a great support to Alan and myself as the project gradually unfolded. We were both very pleased that he was able to attend the 10th anniversary of the Group at Storrington on June 1st, when he thoroughly enjoyed himself and was able to meet many of the people with whom he had corresponded over the years. Needless to say, we are going to greatly miss Eric’s words of wisdom and encouragement. He achieved so much in the field of family history as, indeed, he did in so many other areas. It was a privilege to have known him, and I shall always fondly remember the times when we enjoyed a pint or two in one of the local hostelries as we animatedly discussed some of the finer details of this strange hobby that had brought us together. Eric was unique, a loyal and kind friend and on behalf of us all, I would like to express our condolences to Sheila and their two daughters, Janet and Julia and their respective families. 1 The Linfield Library of Humour, by Malcolm Linfield in ‘Longshot’ Vol. 4 No. 1 (June 1995) p. 25. 2 If any member would like a copy of this list of books, please contact me directly. This millennium year 2000 has enabled me to extend my family history in several ways and briefly I review the main elements. The publication of two fascinating books by the Horsham Museum Society in January, “The Shelleys of Field Place” – the story of the family and their estates – and “The letters of Bysshe and Timothy Shelley” and other documents put me in touch with Mr George Bason of Hove. Mr Bason has researched the history of Castle Goring for many years, and I am extremely grateful to him for sending me a file of notes and photographs, including one of the gamekeeper’s cottage where my grandmother, Katherine Leach lived with her father Noah Leech, gamekeeper in the mid-19th century. The gamekeeper’s cottage remains an architectural gem, as does Castle Goring itself, originally built for Sir Timothy Bysshe Shelley in 1790-1810, the poet Shelley’s grandfather (see Pevsner’s account on pages 125/7, The Buildings of England: Sussex , Penguin 1965). My father often talked to me of his mother’s domestic service at Castle Goring and it had obviously affected her greatly. 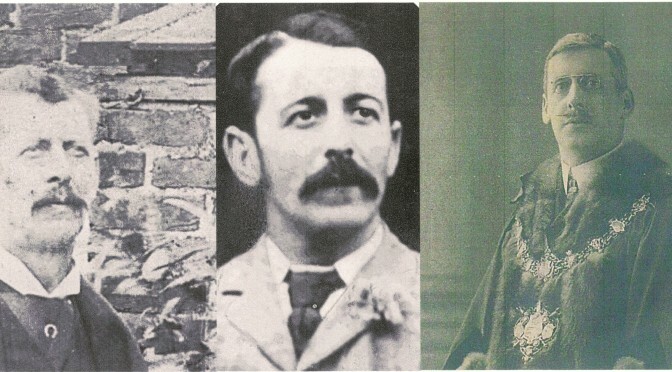 As she only married when she was 35 on July 18th 1885, she registered her first child Frederick in 1887 as resident at Castle Goring, so the connection obviously continued after marriage for a while. Castle Goring near Worthing is now a language school! Unfortunately, my grandmother died before I was born and Uncle Fred, too, had been killed in 1917 whilst near Arras in the First World War. However, I have been able to build up a collection of photographs where my father, grandfather and his grandfather’s grandfather, Peter Linfield (1734-91) lived. They make a very colourful and interesting album and I am adding a copy of the Gamekeeper’s Cottage, Castle Goring shortly!